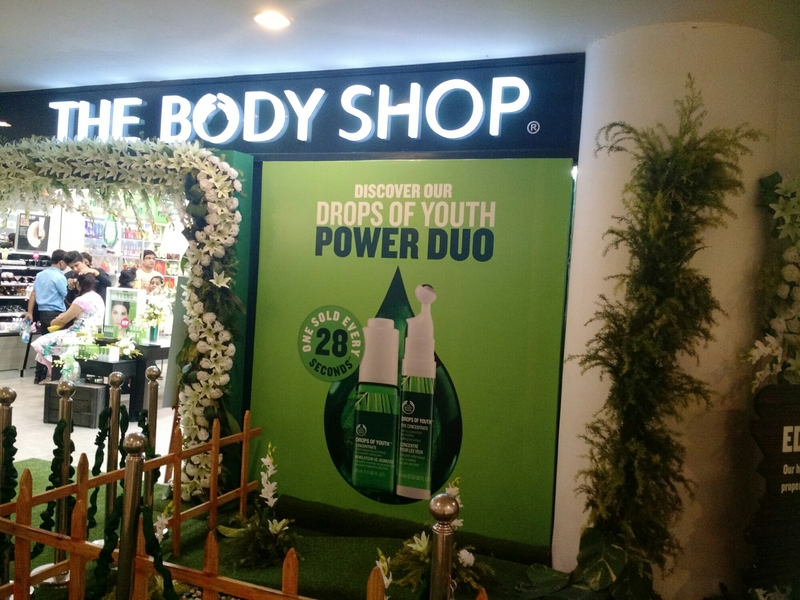 Last Thursday saw The Body Shop launching the newest addition to the Nutriganics range- The Drops of Youth Eye Concentrate. 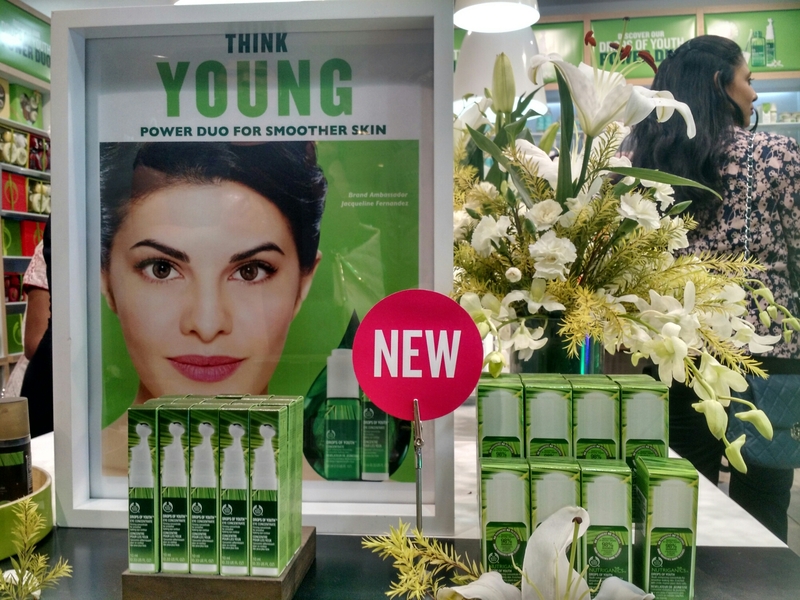 The official launch was done by the TBS ambassador Jaqueline Fernandez at the City Centre 1 store in the afternoon and knowing the media and crowd frenzy that would take place, chose to skip it and attend the blogger’s meet scheduled for the evening. 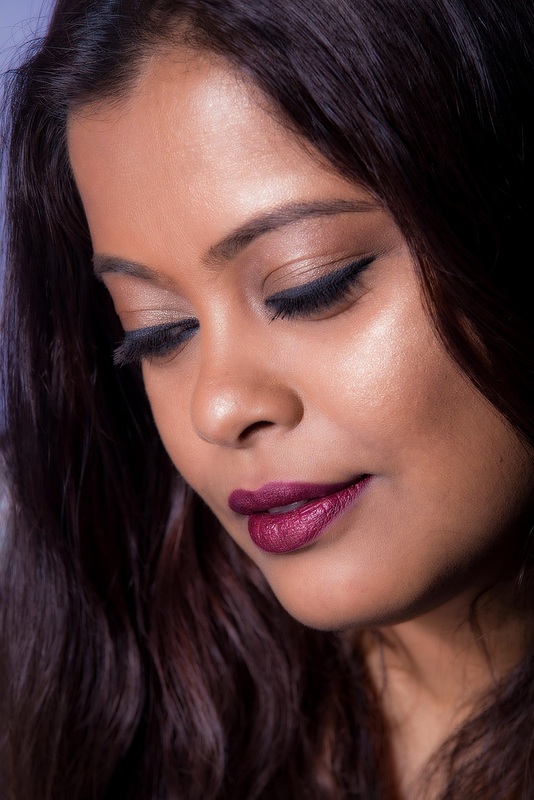 TBS is well known for organising fun meets and this was no different. There was good food, fun activities and a lot of opportunities to take photos.